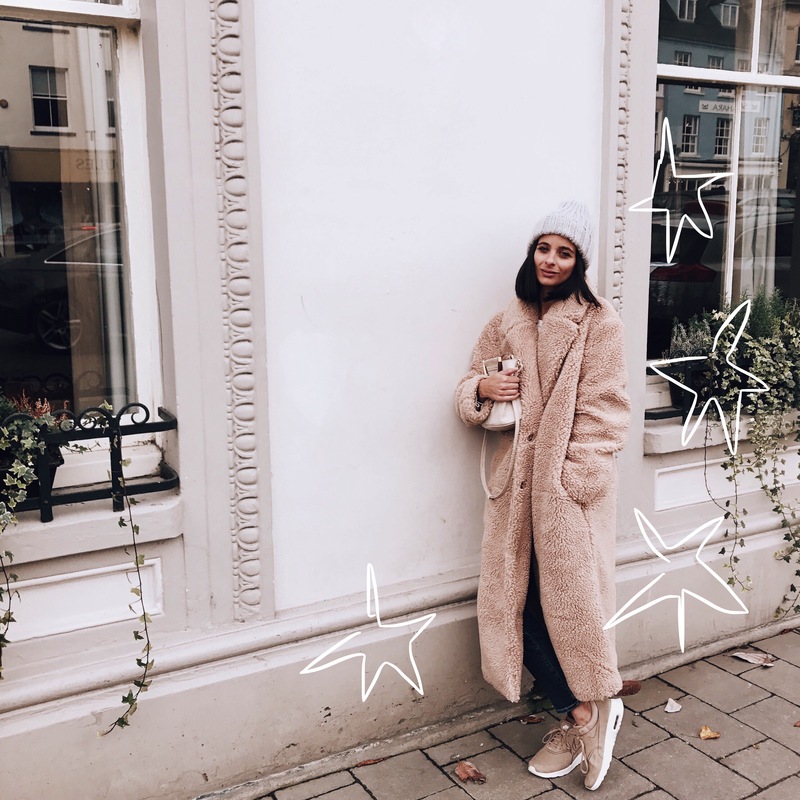 This Coat seems to be on all my favourite influencers as I stroll through my Instagram feed (whilst making numerous saves!) and it’s a great way to add a little fun to your everyday wardrobe. I totally get it, that it might not be everyone’s cup of tea so I’m here to convince you otherwise! It might be a little hard to wear, but it’s a great way to push yourself out of your comfort zone, which is exactly what I’ve done. 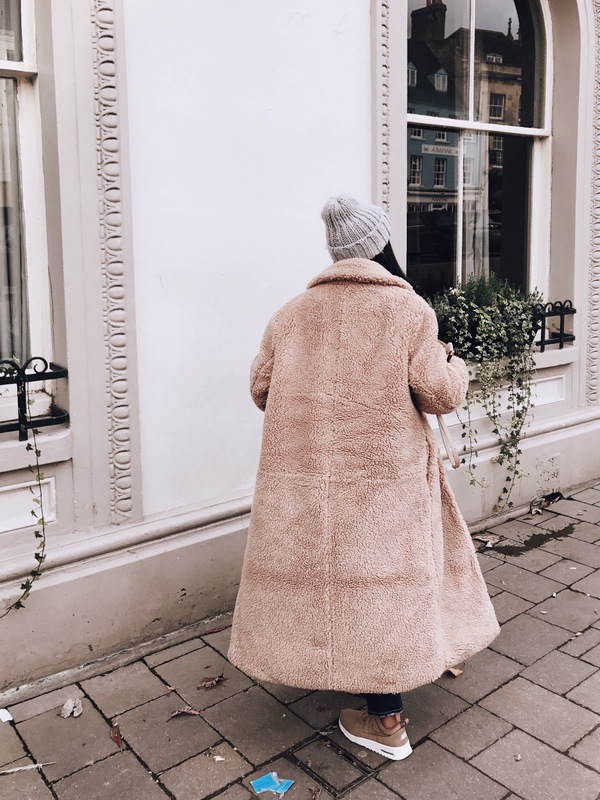 There’s so much for you guys to choose from, ranging in different colours to different lengths but I went with this H&M, long pile Coat (here) as it reminded me much of that MaxMara Coat (here) that is currently doing the celebrities round! 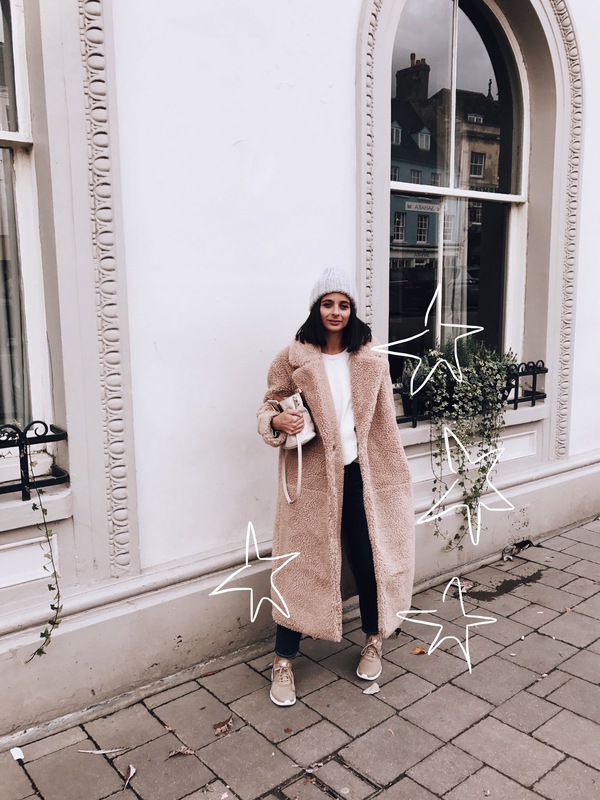 It’s super cosy (quite literally like wearing a duvet all day) super chic and super versatile in that I can team this with a dress as well as jeans be it day or night. 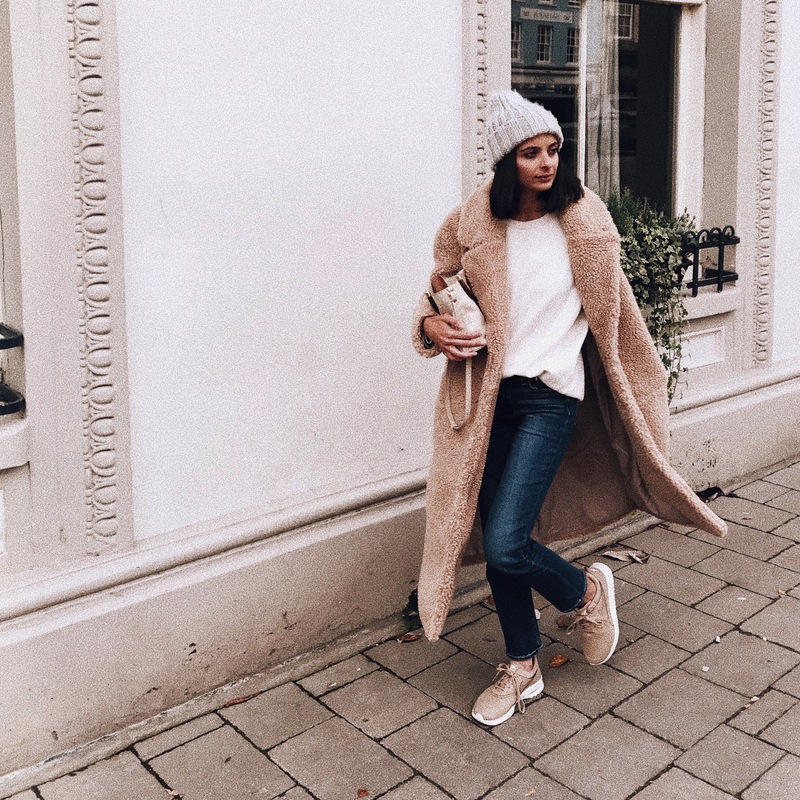 I’ve teamed my new PAIGE jeans (here) along with my NIKE thea’s ( similar here) and oversized sweater from Topshop (now sold out but similar here) for a casual day time look whilst running errands round town and the coat adds the right amount of texture to what would otherwise be a really simple outfit! 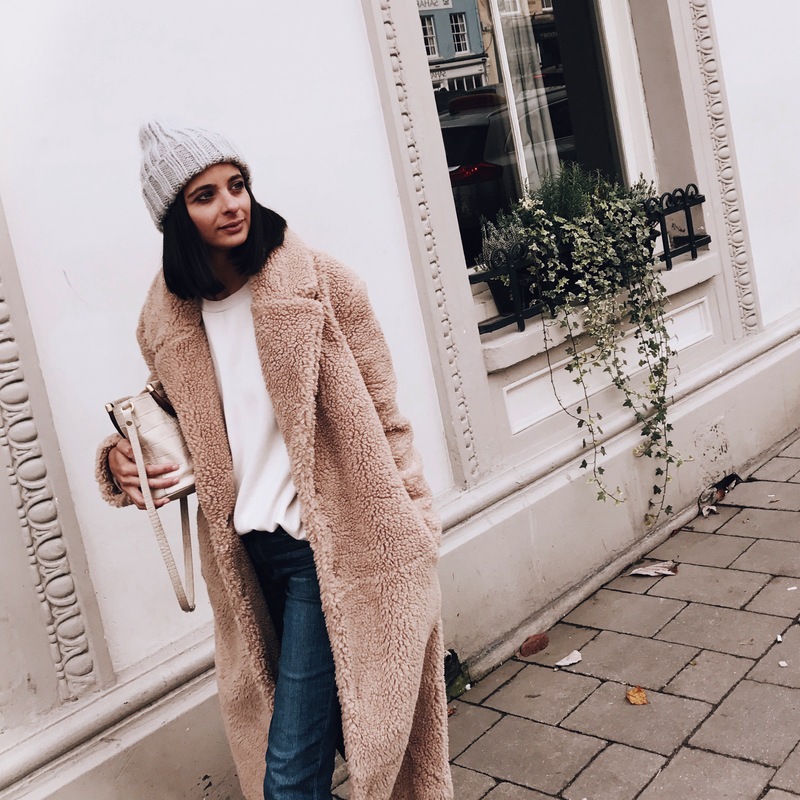 So now that temperatures are dropping, you might just want to add the teddy coat to your wardrobe! It looks so cozy and warm! Love how you paired it with sneakers! How cute do you look doll! Love your site and feed is inspirational, y’all know ? !